I have life-long passion for natural history and am currently working as as Senior Environmental Consultant for Natural Power. Previously, as a post-doctoral researcher, I investigated the contribution of sensory and learnt information to animal decision-making in the contexts of feeding, nest-building and cooperation. With over six years professional experience I have managed both academic and industry-led projects and am an author of over a dozen peer-reviewed research papers. Over the past 20 years I am privileged to have work with a wide range of aquatic and terrestrial species, in the UK, North America and South Africa, including Atlantic salmon research projects in Scotland and Canada. I find collaborating on inter-disciplinary, multiple-stakeholder projects particularly satisfying. I am fortunate to have worked with researchers from many great research groups and institutions including: The University of Pretoria, The University of Cape Town, The University of St Andrews, The Royal Veterinary College, The University of Edinburgh, The Univeristy of Lethbridge, The University of Durham, The University of New Brunswick, Wild CRU Oxford, CEH Banchory and CEH Merlewood. In 2015 to 2017, I co-supervises a masters student in Pretoria whose thesis examined how floral attributes such as nectar, sugar concentration and flower shape influence sunbird foraging behaviour. 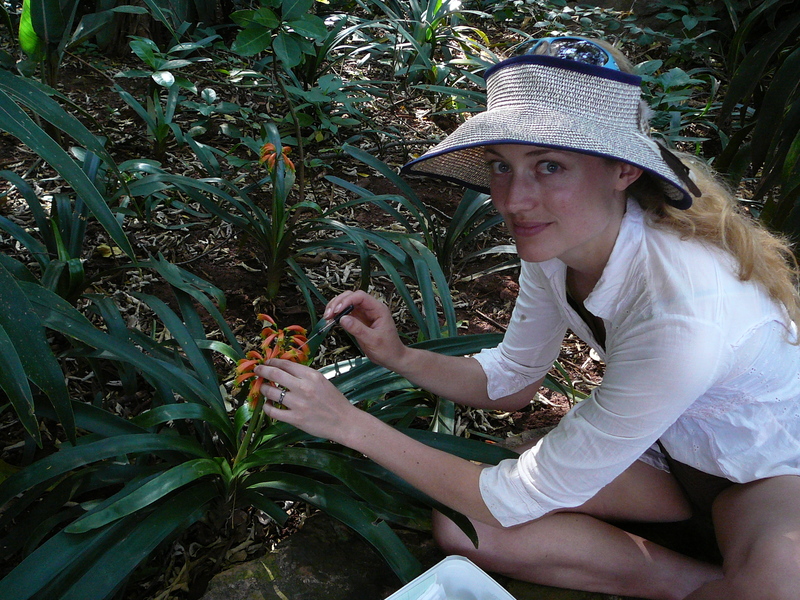 2015: Certificate in field botany (Distinction). The Royal Botanic Gardens Edinburgh. 2013: PRINCE2 practitioner -project management. 2010: PhD, The University of Edinburgh, UK: Factors influencing the foraging decisions of Rufous Hummingbirds. 2005: B.Sc. (Hons), 2/1, Geography with Biology. The University of Durham, UK. Wide ranging communication, research promotion and presentation skills.